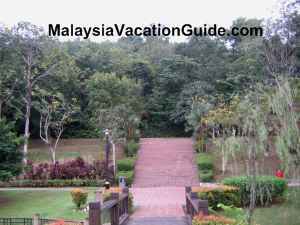 If you are in the vicinity of Taman Tun Dr. Ismail in Petaling Jaya, you may want to consider going to Lembah Kiara Park. 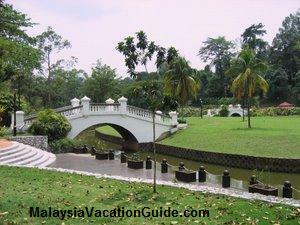 This park is popular with locals especially in the early morning and more so in the evening. 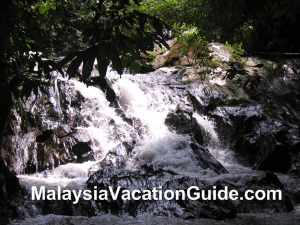 This is the place to enjoy the natural beauty of nature after a long day's work or simply to escape the routine of daily chores. 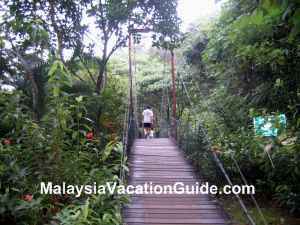 The hanging bridge at the park. 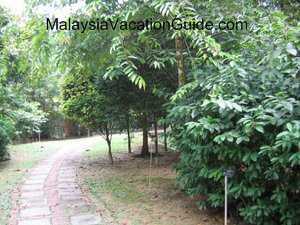 This park is about 10-15 drive minutes away from 1 Utama and Ikano Power Centre Shopping malls. 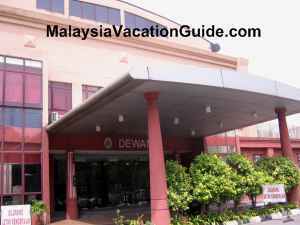 It is located opposite Sekolah Kebangsaan Tmn Tun Dr. Ismail (2), not too far away from VADS building which used to be IBM office. This park has a big lake where you can see some turtles. 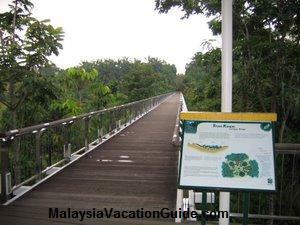 There are nicely built tracks for joggers and those who just want to take a walk. The tracks are located towards the hill. There are 2 tracks available, one is about 1 km and not too steep. It is for those who prefer an easy walk. The other track goes further up the hill, more slope and is about 2km. 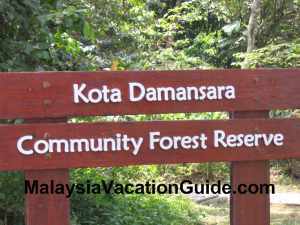 This track is more interesting as you will be able to see more flora and fauna. Some macaques may be seen hiding on some of the branches of the trees. 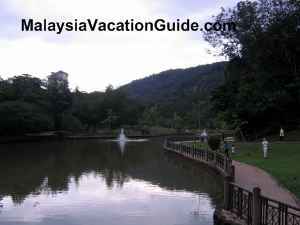 The lake at Lembah Kiara Recreation Park. The well maintained recreation park. 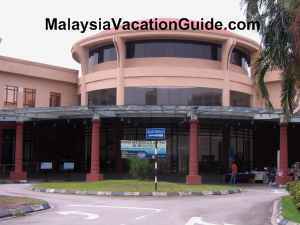 If you are into books or need a place to study, the Kuala Lumpur Library branch is located at the TTDI Community Centre. There are many good books for children, adults and audio video collection. You can join as member of the library before you are allowed to borrow the books and VCDs here. Each person can borrow up to 3 books for 2 weeks. 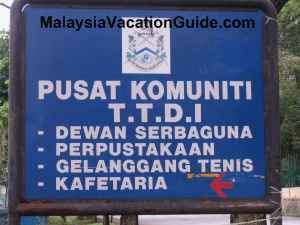 The signage to the community centre. The library at the community centre. Tel: +6 03 7726 6310. The community centre here also has a multi-purpose hall which the public can book to play badminton. It is also frequently used as banquet hall for wedding function. Tennis courts are also available for booking.